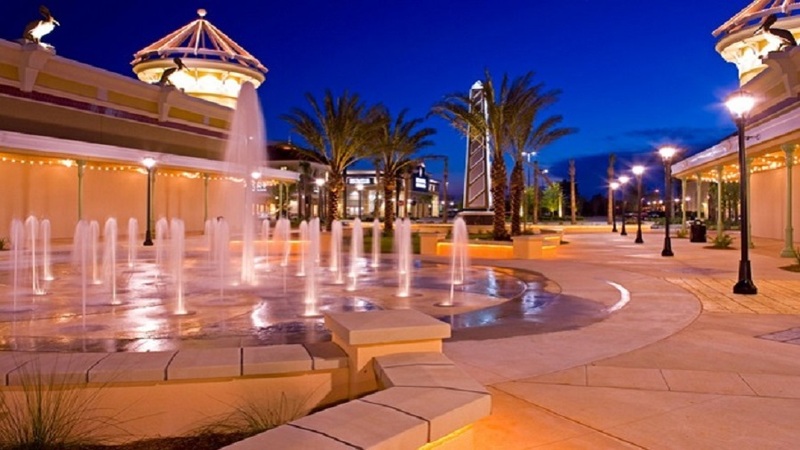 The Wharf is the Gulf Coast's most inviting shopping and dining destination with exciting entertainment and event options. Choose from a variety of restaurants and eateries on site with options for romance, family and friends. Enjoy fine dining, casual southern flair, and local seafood favorites at The Wharf's array of restaurants. From Daiquiri Bars to Boat Bars, The Wharf has an active night life. Listen to live music and cheer on your favorite sports teams at The Wharf's late night venues. When rest and relaxation is in order, pamper yourself at one of our spas and salons with a rejuvenating treatment, massage or new hair style. Shopping at The Wharf is a unique experience. Browse dozens of locally owned boutiques and one-of-a-kind shops designed to delight the most seasoned shopper. Retail at The Wharf has a little bit for everyone. Shop for fashions for the whole family, home interiors, sports gear, souvenirs and more! 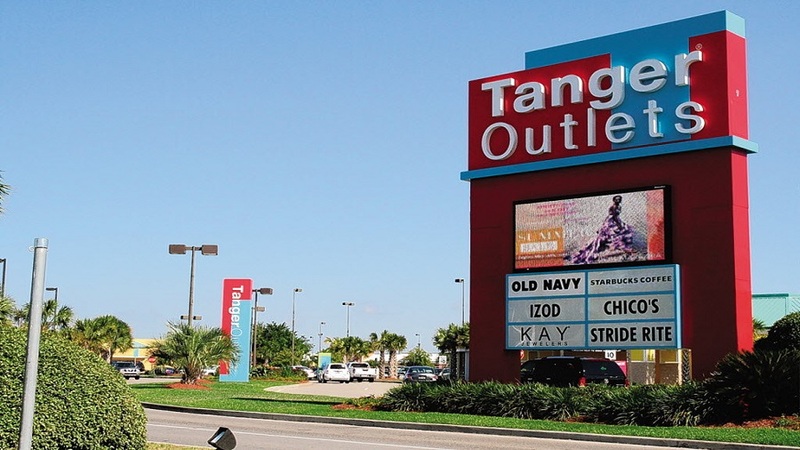 The Orange Beach Store isn’t just merchandise, but celebration of a manner of living. That’s why every design and product line is carefully chosen to be just as authentic as the place that inspired it. 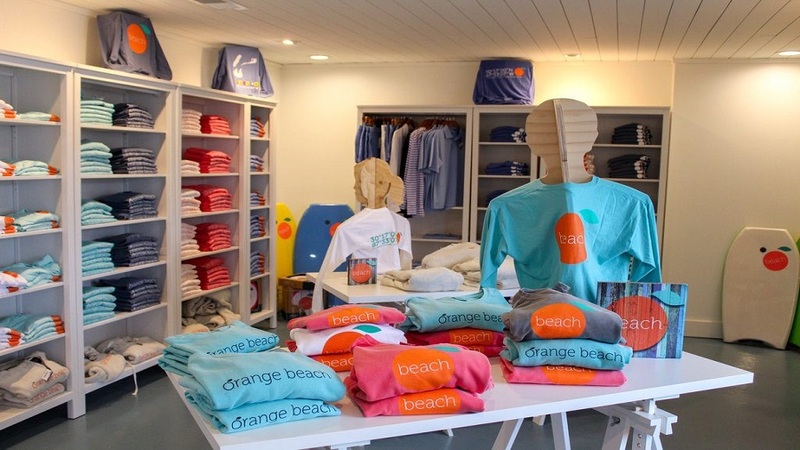 After years as a merchant in her hometown with the Fairhope Store, Lisette Normann brings that same sense of style to the beach community she makes a second home. Clothing as relaxed as the time you spend here. Orange Beach draws tens of thousands to our sugar white beaches as soon as the sun warms our emerald green water. But it’s also a town that sends hundreds of children to school in the morning. Friends meet for lunch at the same dock-side restaurants that splash into national travel magazines. Kids throw castnets for bait fish on Wolf Bay. Dads clean up boats for weekend picnics to Robinson Island. Our mission: creating a style just as authentic as the community itself. 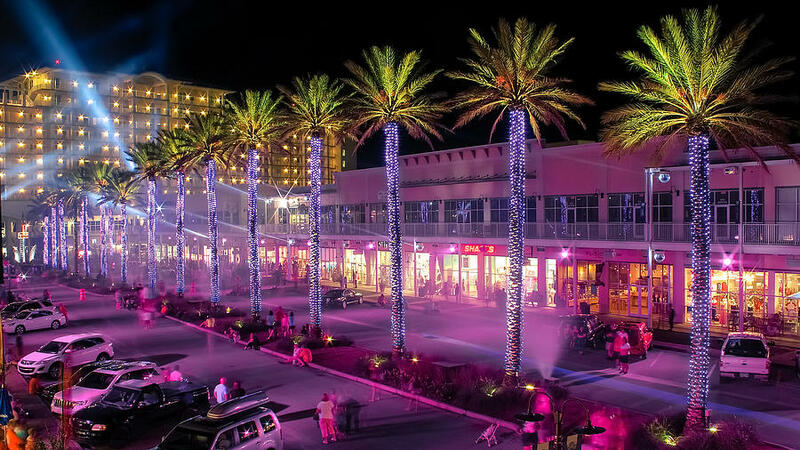 Pelican Place is conveniently located in Gulf Shores, Alabama just four miles north of the beach on Highway 59, a gateway thoroughfare for tourists, employees, and local residents with an average of more than 43,000 cars per day. Experience open-air shopping at chic boutiques, gift shops that offer culturally distinctive merchandise and relax by our beautiful water fountain found in the central courtyard. No day of shopping is complete without a bite to eat and a cocktail to unwind. Pelican Place offers an excellent variety of both casual and chef-driven restaurants. From prime Steaks at Longhorns, southern cuisine at Kitty's Kafe, Celebrity-inspired Artisan pizzas at Tuscany, Rafters Sports Bar to Mikato's famous Sushi rolls. There’s something for every taste at Pelican Place. Catch a flick in Gulf Shore's ultramodern movie theater Cobb Pinnacle 14 for a Premier Movie Going Experience with: 100% Digital Projection, Stadium High-Back Rockers, D-BOX Motion Seats, Wall to Wall Screens, Extensive Food Menu, Internet Ticketing and Kiosk in the Lobby. Gather with your friends and checkout the music and drinks offered various locations.